New Delhi April 16 (IANS) The Congress on Monday said that neither its President Rahul Gandhi nor any other party functionary had ever used the term "saffron terror" and that its political rivals were levelling baseless allegations. 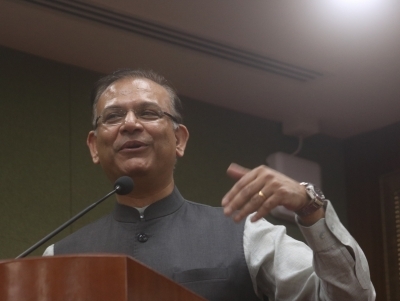 The party also alleged that the investigative agencies were being used as a rubber stamp by the Bharatiya Janata Party-led government at the Centre. "People have no faith in the investigative agencies. 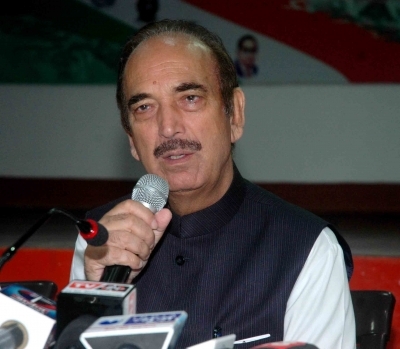 The way they are being used for political purposes... these agencies have become rubber stamps of the ruling party " Leader of Opposition in the Rajya Sabha Ghulam Nabi Azad told the media here. "Everyone knows how the NIA how investigative agencies work in the government... we have faith in our judiciary. The court s doors are open to all. And courts always do justice " he added. The Congress reaction came after a Special National Investigation Agency (NIA) court in Hyderabad acquitted all five accused in the 2007 Mecca Masjid bomb blast case in which nine people were killed and over 50 injured. Those acquitted are Abhinav Bharat members Nabakumar Sarkar alias Swamy Aseemanand Devender Gupta Lokesh Sharma Bharat Mohanlal Rateshwar alias Bharat Bhai and Rajender Chowdhary. Congress Spokesperson P.L. Punia who addressed the party s regular media briefing attacked the Bharatiya Janata Party (BJP) for targeting Rahul Gandhi and dared it to produce evidence to support its allegation. "Show me a video or a sound bite wherein Rahul Gandhi or any other Congress functionary is seen using the term Bhagva aatankwad (saffron terror). There is no such thing as saffron terror " Punia said. "We believe that terrorism cannot be associated with any religion or community " he added. Punia s reaction came soon after the BJP accused the Congress of "defaming" the Hindu religion by coining the term "saffron terror" and demanded apologies from Rahul Gandhi and Sonia Gandhi. Punia said that questions remained over how the confessional statements and many other documents went missing from the prosecution s files in the blast case. "But it won t be proper to comment before going through the complete court order. But the court has said that the prosecution has failed to prove the case " Punia added.